This outstanding specimen of Realgar is from the find made in late 2005. The largest crystal measures 2.5 cm in size. This stunning find produced a limited amount of specimens that are considered to be among the best ever found at this classic locality, which has been regarded as the premier location for Realgar specimens. This Mine is now closed and the lower levels have filled with water and the pumps have been turned off permanently. Goethite in a stalactitic-botryoidal growth with intense, very bright, iridescent metallic reflections. The colors vary between blue, blur-green and red and are more pastel than usual for this find. The specimen is from a find in 2007. Other than these specimens, this locality hasn't produced significant samples in the last 30+ years. Although contacted on top and bottom it is a very fine example of this material. 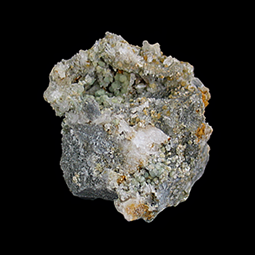 This specimen features numerous gemmy crystals of the mineral Adamite on a gossan matrix. The clusters of Adamite on this specimen are bright and lustrous too. Also this specimen is extremely fluorescent. 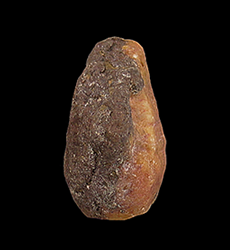 The Ojuela Mine has produced many of the worlds best Adamite specimens. 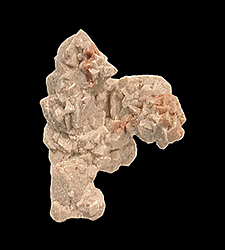 Here we have an unusual specimen of two carbonate minerals, known as Pinolite, from Styria, Austria. 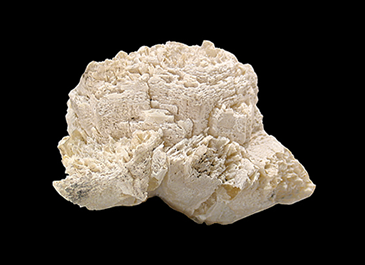 Named for the white Magnesite crystals resembling pine kernels (hence the name), encased in a graphite-grey to almost black matrix of Dolomite. 4.7 x 4.6 x 2.8 cm. 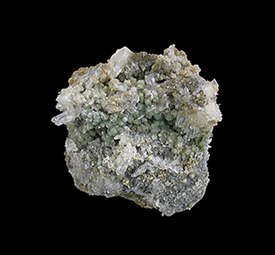 This specimen consists of a slightly divergent cluster of Pyromorphite crystals to 4.5 cm. in length that have been mostly replaced by the sky blue lead phosphate mineral Plumbogummite. Most of the crystals exhibit hopper growth at their terminations. Basal portions of the crystals still have remnants of the original Pyromorphite. A great example from the pocket with medium-sized pyromorphite crystals for this find, which would be huge by any other standard. This specimen features blocky to tabular, honey-brown Barite crystals to 1.6 are studded on a matrix of green-colored Fluorite crystals. The Fluorite is contacted on the back, which I think is better than being sawn like many of these were. This specimen is from a find in China about 10-12 years ago. Sadly, very few of these colorful specimens came out, and it looks like no more will. This specimen is a better than average example of Hemimorphite. Some of the worlds finest Hemimorphite specimens have come from the Santa Eulalia area in Mexico. These specimens are some of the most aesthetic and eye catching pieces from this locality. This specimen features numerous, sharp, lustrous, prismatic blades of Hemimorphite arranged in fan-like groups, measuring up to 1 centimeter aesthetically perched on a gossan matrix. 8.6 x 5 x 5.1 cm. An excellent, well crystallized example of Celestite from a noted Ohio locality. This specimen features well-formed crystals of Celestite measuring up to 1.5 centimeters. 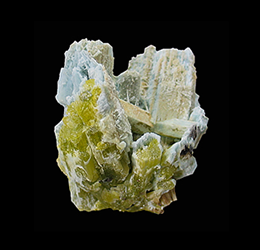 The yellow-colored Calcite on which these lustrous Celestite crystals sit upon makes for a nice contrast of colors. This specimen dates back to the 1970's according to the collection label that came with the specimen. 8 x 4.1 x 1.4 cm. A fine example of kidney-ore from a classic locality. The luster of this attractive specimen is very high. This ancient mine was worked for both copper and iron that was found in the Barite veins until it was abandoned in 1913. Examples of this material are rarely available to collectors anymore. 4.4 x 2.5 x 3 cm. 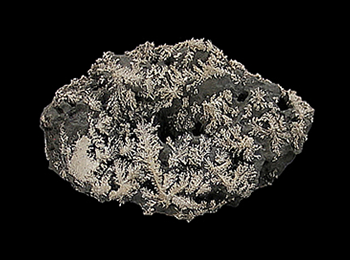 Pohla Silvers are known for their extremely attractive dendritic crystallization, which this specimen exhibits. The Silver in this rich specimen is embedded in, and flowering out from and covering a matrix of massive Silver and arsenic ore. This piece has several well-crystallized display faces covered with good quality Silver of a style that made this one of the more famous silver localities for collectors quite a few years now. 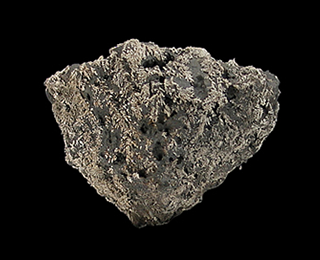 This specimen dates back to the early 1990's when the Soviets mined this area. 10.6 x 9 x 6.1cm. The region of England known as Cumbria has a rich mining history that goes all the way back to the time of the Roman occupation and, for some time, been regarded as a mineral collector's paradise, being a prolific producer of more than 300 different species. This chunky specimen of Witherite is larger than most from this mine. The crystal is complete and exhibits a white coating which is an alteration to the mineral Barite. This specimen was recovered in the area of the mine known as Admirality Flats, more specifically the High Raise Second Sun Vein. 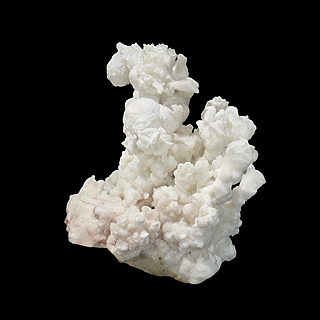 This very three-dimensional formation of Aragonite is from a defunct silver mine. These specimens are formed by ground water deposition inside the underground mine. This specimen is something you is almost never seen from Sri Lanka, a Sapphire crystal in matrix. Matrix specimens are all but unheard of. The main Sapphire crystal on this specimen is double-terminated and has a reddish-purple hue. 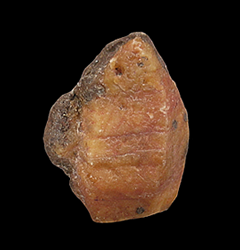 The other crystals in the matrix of this specimen are lighter in color with some being translucent. Sri Lanka has long been known for its seemingly endless supply of Sapphires. Gemstone mining in Sri Lanka is from secondary deposits. The gravels yield Sapphire, Ruby and many other gemstones. Sri Lanka’s gem-bearing gravels, called illam, are some of the richest in the world. The island was blessed with geological conditions that provide an ideal blend of chemistry, heat, pressure, time for gem crystals to grow, and weathering for the gem crystals to be deposited and concentrated in gravels. A specimen of Celestite from the former republic of the Soviet Union, Turkmen Soviet Socialist Republic. This is a pocket full of extremely gemmy, glassy crystals, with just the faintest blue-grey hue, encased in Hematite-included Celestite crystals. These specimens came out in the late 1980's. 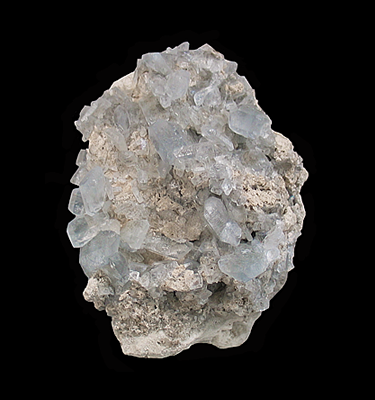 It is not common to see examples of Celestite from this location, as compared to the abundant supply from Madagascar or even American specimens. 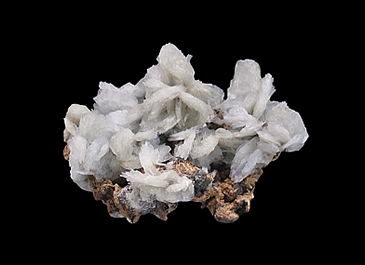 Here we have a cluster of thin pale, blue-grey Barite crystals on matrix. 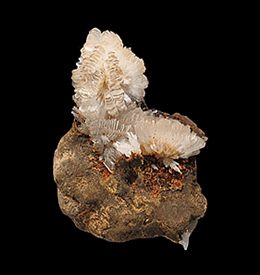 This three-dimensional specimen features fans of Barite crystals measuring up to 2.1 cm in size. These blue Barite specimens are some of the most desirable of the species from this location. 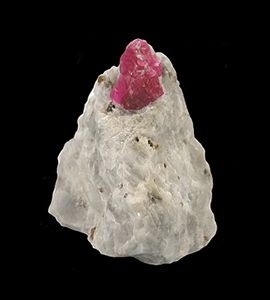 A well-formed and double-terminated crystal of Ruby from what many consider to be the most important Corundum locality in Kenya. 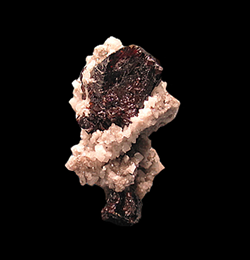 As with all John Saul rubies, this specimen fluoresces a deep cherry red under long wave ultraviolet light. I think that when I photographed this specimen, the lights I used made it fluoresce a little. Here we have an alluvial Sapphire crystal from one of Asia's more prolific gem producers. This crystal still has some of its matrix attached. This Sapphire has a medium-yellow color that is stained red by iron that has leached from the piece of the crystal's host rock that is still attached. Despite being river-tumbled, this Sapphire shows good form with only a little bruising. 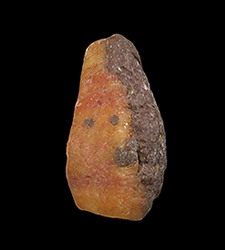 This specimen would make a colorful addition to any collector's mineral cabinet. 5.7 x 4.6 x 3.0 cm. Here we have an old-timer Nevada Sulphur specimen with well-defined, translucent-to-transparent crystals to just under 1 cm. on a matrix of white Gypsum. 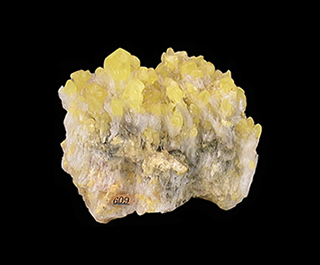 While the specimens from Steamboat Springs, just south of Reno get all the accolades when it comes to Nevada Sulphur crystals, these specimens from Eureka County are just as good. Examples of this material are nearly impossible to come by, even for those of us that Live in northern Nevada. 9 x 7.6 x 6.4 cm. This specimen hails from the world's oldest continually producing gold mine, started in 1725. 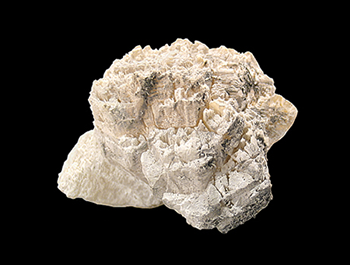 Present on this specimen are lenticular crystals of Dolomite to 2.4 cm. 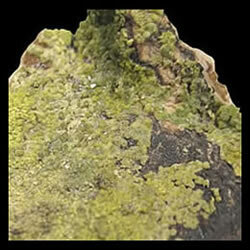 and very clear Siderite crystals to 2.0 cm. in size. Most notable though, are the numerous crenellated Albite crystals measuring up to 3.3 cm. in size. 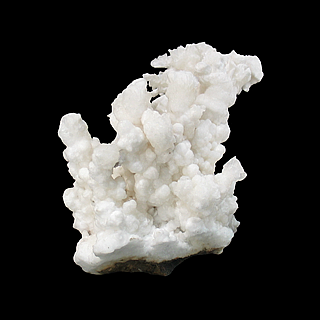 Albite is not often seen on specimens from this famous location, especially in crystals this large. 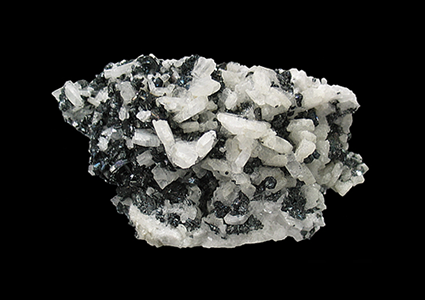 Both Siderite and Dolomite from Morro Velho are considered world-class in quality. Also found on on this specimen are clear and gemmy Quartz crystals and the ever present Pyrrhotite. On a matrix of Limestone we have numerous blue, translucent and lustrous tabular crystals of Celestite to 2 centimeters in size, with most around 1.2 centimeters. The quarry has produced numerous styles and habits of Celestite, and this habit is sometimes confused with Celestite from the Maybee Quarry in Maybee, Michigan (this makes sense since both deposits are part of the Findlay Arch District). The Stoneco Lime City Quarry, unfortunately has had to turn away collectors and is now a “closed” locality. 12.8 x 9.4 x 2.4 cm. Goethite with mineral staining giving the specimen an iridescent look. 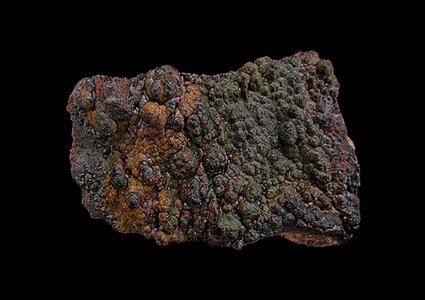 Goethite specimens are usually not so colorful. This specimen was acquired from Dawn Minette who along with husband Jim collected this material. 10.3 x 7.4 x 7.6 cm. Here we have another one of those truly fascinating specimens that are under-represented in collections. 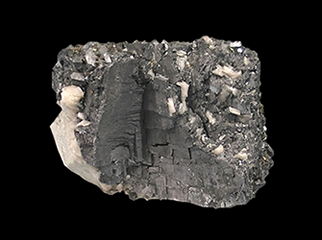 This is a really good example of the rare sulfide mineral, Metastibnite. Metastibnite is not found in that many locations around the world and due to their colorful nature, specimens from Nevada are held in high regard. The glossy Opal matrix combined with the vividly red Metastibnite makes for a colorful specimen. Metastibnite fills the many tiny vugs as well as seams in the Opal matrix. The Opal also appears to be included with Metastibnite. The location where these specimens can be found is not accessable for collecting. Living less than 20 miles away, I have tried many times to collect there. 7.8 x 8.9 x 5.5 cm. Here we have good example of Magnetite and small, blocky white Feldspar crystals. Usually the Magnetite crystals from this locality are closely grown together, but this piece has some good isolation between the octahedral crystals. 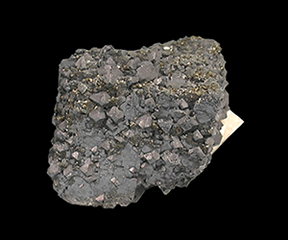 The gunmetal colored Magnetite crystals on this specimen are excellent, sharp and highly lustrous. 11.2 x 10.1 x 4.2 cm. 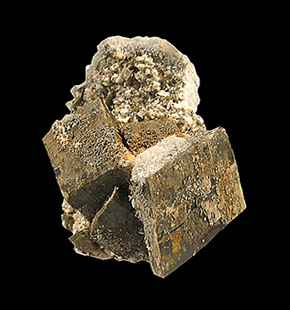 A classic and fairly hard-to-find siderite specimen from the famous Julcani District in Peru. This attractive specimen hosts sharp, well-formed, rhombic Siderite crystals with a pleasing, silky lustre on a matrix of massive Pyrite. 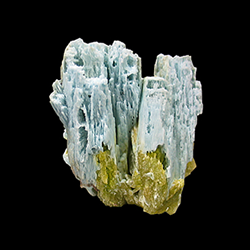 This specimen also features nearly a dozen squat crystals of colorless Apatite making for an unusual association. Also found on this specimen are numerous small crystals of Chalcopyrite. 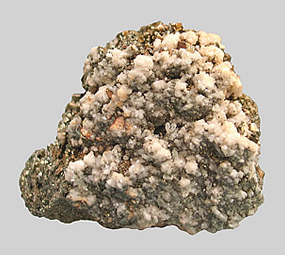 Another mineral that you don't usually associate with Nevada is Hemimorphite. This specimen features Hemimorphite crystals up to 1.3 cm in size in a vug lined with sparkly crystals of Smithsonite. 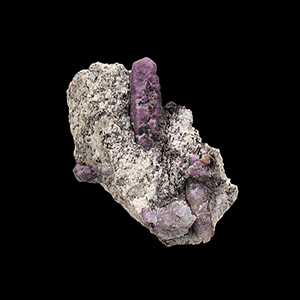 Mineral specimens of any species are extremely rare from this obscure Virginia quarry. 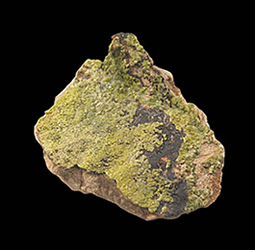 In fact, mindat.org only has 2 examples of Prehnite from this location. 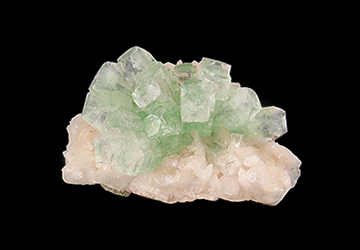 This lustrous specimen of mint-green-colored Prehnite features crystals up to 1 cm in size. 5.7 x 3.1 x 1.7 cm. 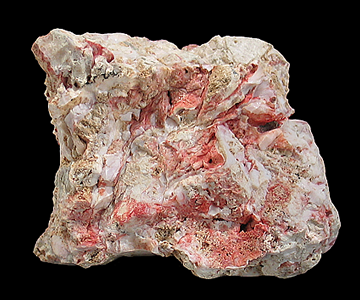 A plate of translucent, richly-colored, red Vanadinite crystals. The largest crystal on this specimen measures 1.3 centimeters. A slightly better than average Vanadinite specimen from Morocco. 4.3 x 4.5 x 2.6 cm. A great old Indiana Pyrite, with sharp, well-formed, modified pyritohedrons perched very attractively on a micro crystal-covered matrix. Though there are plenty of Peruvian and Spanish pyrites around, you don't see many of these Indiana ones around. The Rensselaer Quarry had a reputation as an extremely challenging quarry to extract specimens from. Many of the specimens from here were coated in thick hydrocarbons. This location has been flooded and closed for some time now. 7.1 x 5.6 x2.4 cm. A good example of "leaf" silver from the renowned Cobalt area of Canada. 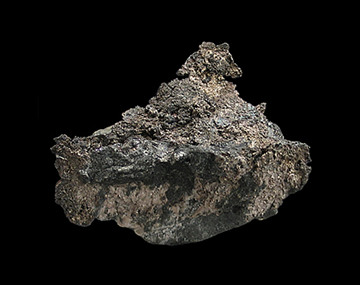 This specimen features a rather large, for the location, sheet of Silver covering and rising above a meta-sediment matrix. Metasedimentary rocks are a class of metamorphic rocks where the original rock (protolith) was sedimentary. You don't see to many Silver specimens from this mine as it was only active from 1983 to 1988. A strangely curved, diamond-shaped crystal of Gypsum. This mostly transparent crystal has beveled edges and Under shortwave UV it shows a faint fuchsia fluorescence in a distinct X-pattern. 5.5 x 4.5 x 4.5 cm. 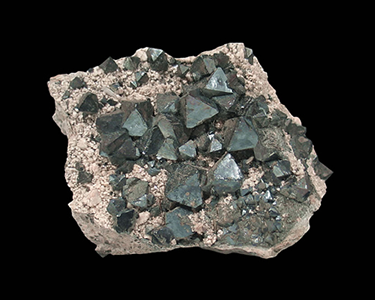 Here we have a specimen that is covered with green and blue-green spherules of translucent Cookeite on a matrix accented by sparkly, tiny Quartz crystals. Cookeite is an uncommon Chlorite group species. These specimens were dug by Jimmy and Hisami Mc Neil in the 1980's. I acquired a small lot of Cookeite & Quartz specimens from Hisami at the 2015 Kyoto show, this was the only matrix piece of the lot. 7 x 5 x 3.1 cm. These specimens are striking in person, and this piece is no exception. This specimen features foliated, semi-"rose"-esque Pyrrhotites that have been replaced by shimmering metallic golden-colored Pyrite. Topping things off is a layer of fibrous Boulangerite crystals. 6.1 x 5.1 x 3.4 cm. 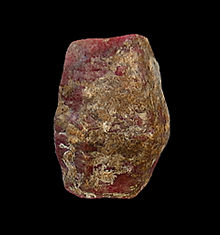 An excellent specimen of Ruby on matrix. 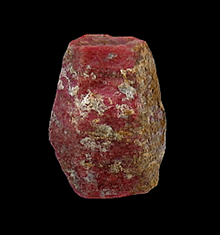 The Ruby crystal on this specimen is translucent. The color of this Ruby is very pleasing to the eye and fluoresces violently when exposed to direct sunlight. 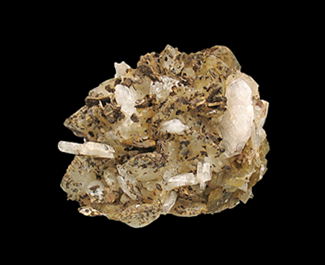 The matrix of the specimen is included by tiny crystals of Phlogopite and Pargasite. 8.5 x 5.2 x 3.5 cm. In the past 20 or so years Pakistan has produced some really fine Alpine type mineral specimens. 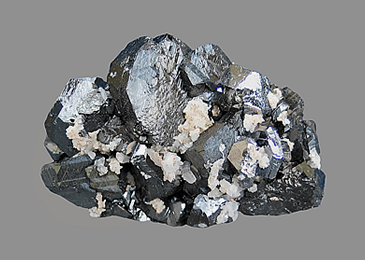 This specimen features sharp, highly lustrous, silvery-black "iron roses" of Hematite sitting amongst lustrous, white to colorless tabular crystals of Albite. A good example of this mineral association. 7 x 6 x 2.5 cm. 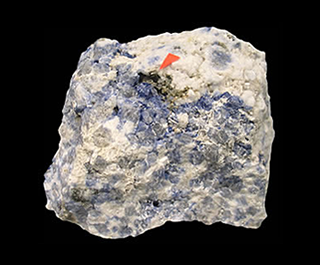 A specimen of many highly fluorescent (bright orange under LWUV) Sodalite crystals, several of which are very well-formed. This specimen features a vug of many crystals of the rare mineral Dawsonite up to 1 mm. 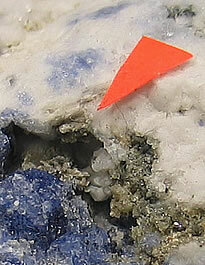 The orange arrow indicates where the colorless Dawsonite crystals are located, several of which can be seen protruding from the vug in the photograph on the right. This specimen also features a cluster of three Analcime crystals that measure 4 x 5 mm. on its upper right corner. 6.8 4.3 x 3 cm. This specimen features a gemmy, radial spray of glassy, green-hued Fluorapophyllite crystals perched on a matrix of pale salmon-colored Stilbite crystals. These specimens were recovered during digging of several wells and are unique to this area. 7 x 6.4 x 3 cm. On a worldwide scale, these Pyromorphite specimens from Boilvia are not the best, but for the location, they are quite interesting and unique. This material is something that is very rarely offered on the open market. 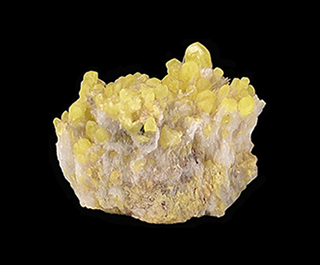 This specimen has many fine, sharp and somewhat lustrous, prismatic, green and yellow crystals of Pyromorphite sitting atop an oxidized matrix. These are very well formed crystals and are not skeletal or hoppered as is often the case with Pyromorphites from other locations. 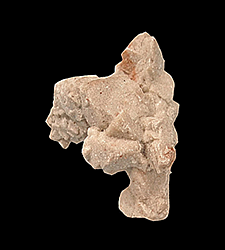 This specimen was collected in May of 2009. 7.2 x 6.7 x 3.9 cm. The mineral wealth of Elba has been exploited since Etruscan times. It is a small wonder that there is anything left these days. No significant finds of Pyrite have been made here since the 1970's. 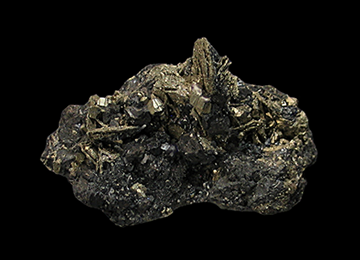 The iron mines of Elba, most of which are long closed, were choice collecting localities for mineral enthusiasts, as early as the beginning of the 19th century. 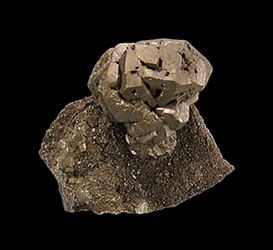 The pyrite specimens, such as this one, were especially prized. 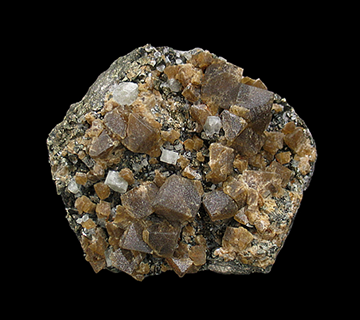 This brassy-colored specimen features many inter grown pyritohedrons up to 2.5 centimeters. This specimen is contacted on the lower sides but presents well and is not a detraction from the overall looks of the specimen. Ex. Howard Belsky collection. 8.5 x 7.5 x 5.4 cm. 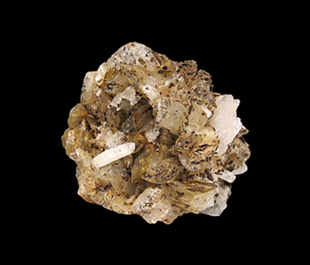 A matrix specimen consisting of two 3-centimeter rhombohedral Siderite crystals surrounded by several smaller crystals, accented with clusters of grayish Calcite crystals and sprays of white Pectolite crystals. 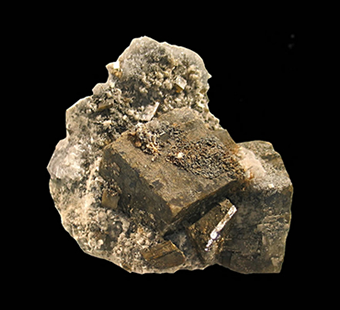 One of the larger siderite crystals has trivial wear on its corner, which in my opinion does not detract from the overall appearance of this specimen. 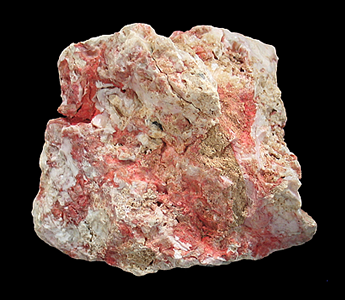 The Calcite on this mineral specimen fluoresces red under shortwave ultraviolet illumination. 7.5 x 5 x 3.5 cm. 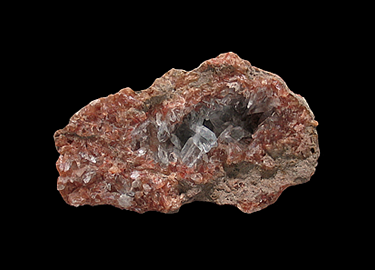 This lustrous and very well-formed pseudomorph specimen features crystals measuring up to 2.5 cm. I have seen a lot of Moroccan minerals over the years, but have only encountered several of these pieces. Pseudomorphs usually tend to be at least a little bit crude looking. 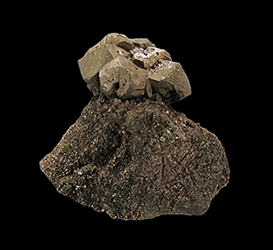 This is not the case for this specimen, as it faithfully retains the the shape of the of the Siderite crystals that have been replaced by the mineral, Goethite. 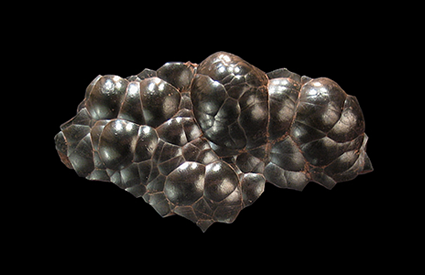 This is a very attractive mineral specimen despite it being a pseudomorph and black in color. 5.5 x 5 x 4.5 cm. 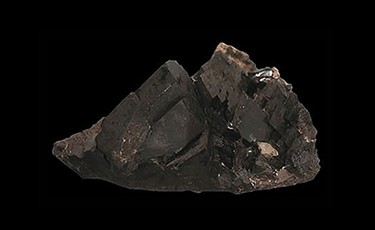 This is an old Tri-State Galena specimen that is truly amazing to look at, in that its surface is completely covered with small, flat-topped epitaxial Galena crystals resulting from a second generation of growth. The main crystal is complete, with the back side being L-shaped where it was wrapped around the matrix rock. 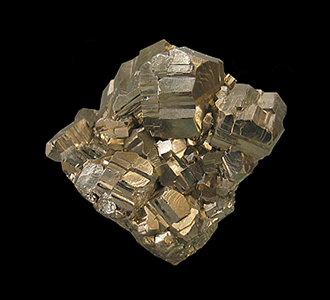 The Galena also has many tiny, golden Chalcopyrite crystals, which add to the specimens attractiveness. 5.6 x 3.1 x 3.5 cm. Here we are offering a really neat specimen; a stalactite-like stack of interpenetrating crystals of Calcite as large as 2.2 cm. that have replaced the mineral Barite. 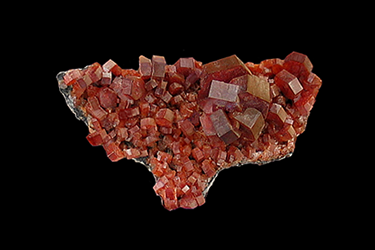 The contrast between the sand color and the orange-red portions of this mineral specimen make for interesting specimen. 6.5 x 3.8 x 2.8 cm. A very gemmy Sphalerite encased in a ring of Dolomite crystals. I backlit this specimen just a little bit to better illustrate the striking color of the Sphalerite. 6.5 x 4.5 x 3 cm. A very lustrous combination of Sphalerite and Galena crystals with tiny clusters of Calcite to give it a little extra pizzazz. 7 x 5.5 x 6 cm. Here we have a classic mineral specimen from a long defunct location. 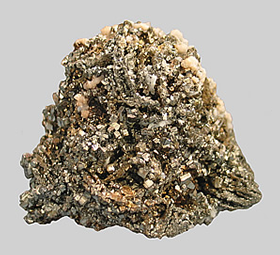 This mound of Pyrrhotite crystals has been replaced by Pyrite, after which a second generation of cubic Pyrite and Calcite crystals formed on top of that. Specimens from this location are not often seen these days.